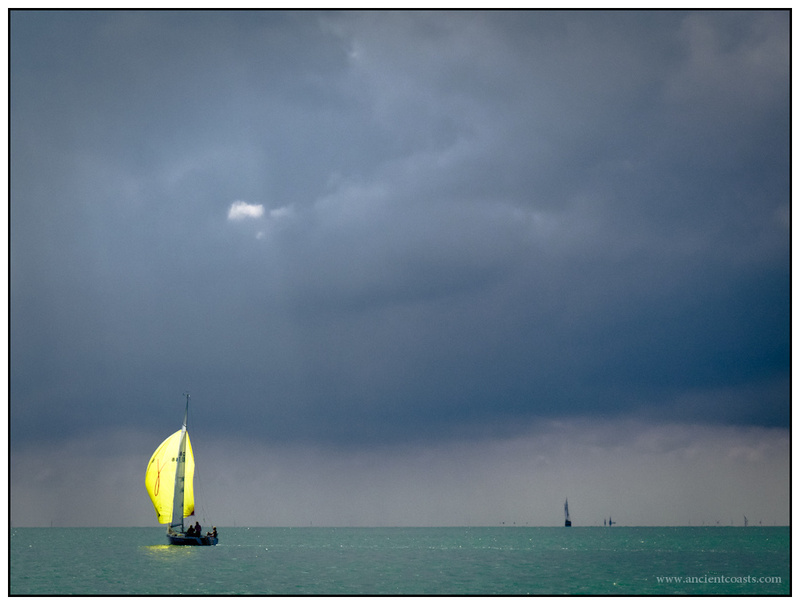 Thunderstorms were forecasted when we sailed to Terschelling last week. Happy to say we managed to keep it dry. No wind on the first day from Volendam to Makkum so we had to go to Hindeloopen to fill up the tank. Our stop at Hindeloopen took longer then expected when some local punks decided to molest our the dinghy (see also our track in the lock of Hindeloopen in the mapmania). We had some argument and at the end they paid so we could continue our trip to Makkum. The next day was just fantastic sailing to Terschelling in the sun and tacking against about 15 – 20 knot wind from the North. This entry was posted in Sailing on August 7, 2010 by ancientcoasts.